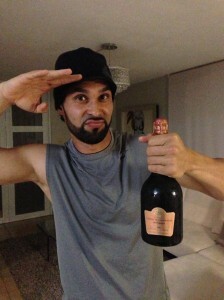 Angel Pagan will be a Giant for the entirety of Obama’s second term. And pretty cheap, by MLB standards. The center fielder has agreed in principal to a 4/$40 million contract that keeps him roaming the deep alleys of AT&T Park through 2016. Pagan was set to hit free agency and being courted by the Philadelphia Phillies. When the Phils declined to offer a fifth year, No. 16 made the easy decision to stay in the Bay. I love the contract. I don’t think it’s a case of World-Series-hangover-pay-everyone-like-their-heroes. With contract inflation and the price some team will pay for Michael Bourn, welcome back Angel! Here’s the reaction from the rest of the blogosphere, ranging from national writers to our very own lovable Twitter fiends. Steve Berman (@BASportsGuy): I’d rather have Pagan at 4/$40M than B.J. Upton at the same price … wait, Upton got 5/$75M? Julian Levine (@GiantsNirvana): 4/$40M for Angel Pagan, eh? Not thrilled, but that’s a solid deal. Dave (@gggiants): So 2 more good years from Pagan, one mediocre year, and then DFA’d in July 2016. Scott Willis (@BAStatsGuy): 4 years 40 million isn’t too bad. I don’t care for the 4th year but that basically pegs him as a league average player. And the best news, the Pagan family is rejoicing. Windy Pagan (@windysuil): I cant stop crying!!!!! Thanks San Francisco for believed in my husband!!! I agree with all of that. The management definitely gets a grace period as far as I’m concerned. Scutaro may be slipping away but this is a winning franchise for the next few years regardless.